Foxtel will start shooting Anna Torv’s six-part mini-series “Secret City” this week in Canberra! Below are 4 HQ “Secret City” promotional images featuring Anna Torv and co-stars Dan Wyllie and Alex Dimitriades. 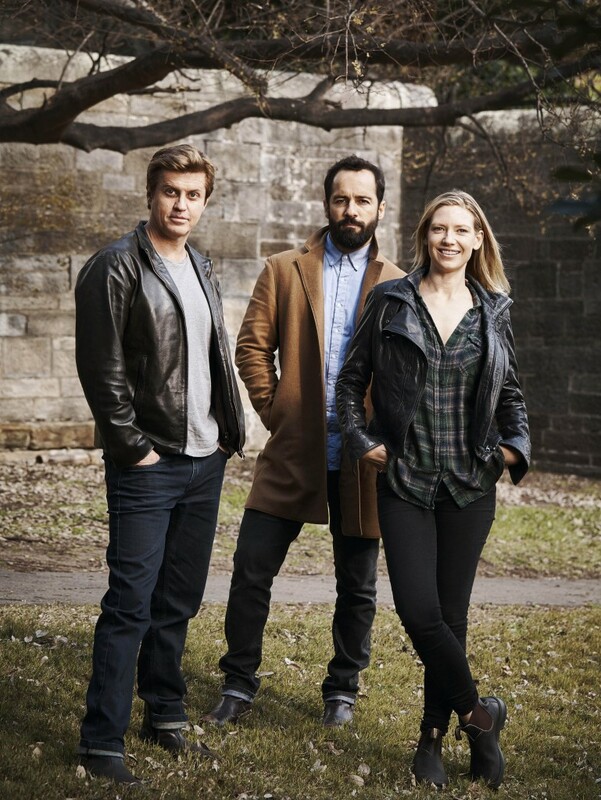 “Secret City” reunites Anna Torv and Alex Dimitriades, who previously played love interests in “Young Lions” (2002). The Sunday Telegraph has published an insightful interview with Anna on her new role as senior political journalist Harriet Dunkley. The Mandarin Code and Marmalade Files authors, who drew inspiration for both books from their careers in the Canberra press corps, secreted Torv into federal parliament on a research mission last week — ahead of her role as print political writer Harriet “Harry” Dunkley. Describing the gallery tour as “a fantastically, amazing afternoon,” the brief experience inside Canberra’s answer to Capitol Hill only acted to thrill the 36-year-old more about her homecoming. Admitting she’s been immersing herself back into the finer points of Australian politics since returning from her LA base last month, she sought some extra tips from two unnamed female press gallery regulars she confided would help inform her role.